I’m a journalist at The New York Times. Currently I’m a reporter on the Express Team, covering breaking news and assorted other topics. Previously, I wrote the Evening and Weekend Briefings and worked as an editor on the International desk and the homepage team. My writing and videos have been published by the Times, the New York Daily News, The Associated Press, Clarín in Buenos Aires, Argentina and the Daily Star in Beirut, Lebanon, among other outlets. I’m also a member of Her Girl Friday, a volunteer group that produces events with good vibes and real takeaways for (and featuring!) women in journalism and nonfiction storytelling. I speak Spanish and some Arabic. Wondering about the image above? 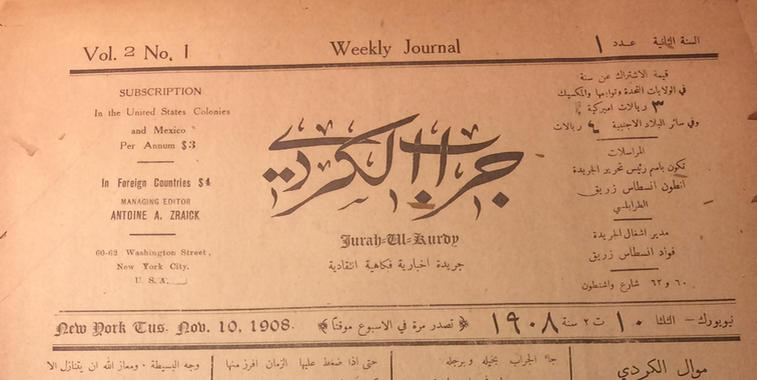 That’s an Arabic-language newspaper my great-grandfather published here in New York, starting in 1908.